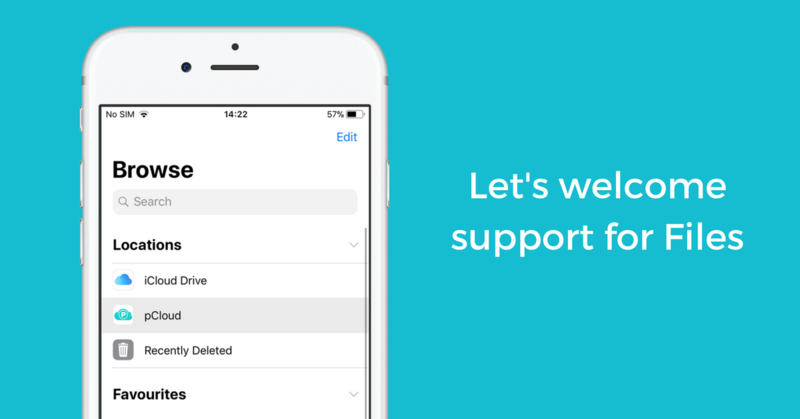 iPhone users, the moment you’ve been waiting for – pCloud’s support for the Files App is officially here. The Files app allows you to access and organize your files from different apps from one place, in iOS 11 or later. It is easier to search, organize and move photos from different locations. With our latest update, pCloud 1.32.0, you can access your pCloud from the Files app. Open the Files and tap Locations > Edit. Enable pCloud from the list of options and confirm, by tapping on Done. What can I do with pCloud from the Files app? You can do pretty much anything that you can do with other third-party apps, which use Files. You can easily: Browse, View, Copy, Move, Rename and Upload files from other supported apps to pCloud. However, in order to take advantage of more great pCloud features, we recommend accessing your files directly from the pCloud app.